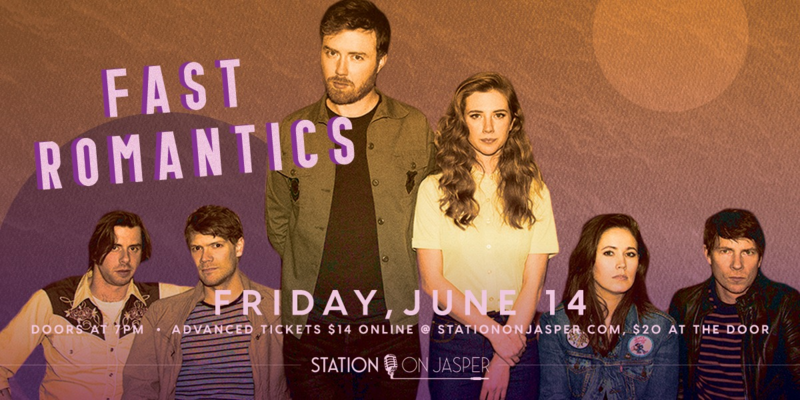 Fast Romantics are a Toronto-based band first formed in Calgary by Matthew Angus and Je rey Lewis. The son of a piano teacher, Angus drifted in the margins of the Calgary music scene before forming the band with Lewis in 2008. Following some early independent releases the band began work on their first LP, Afterlife Blues (2013), shortly after moving to Toronto, with producer Howard Redekopp (New Pornographers, Teagan & Sara). The album was in some sense a process of discovery for the band, as they grew into their sound, encompassing new influences as Angus began to refine his songwriting. The album’s first single, “Funeral Song,” was an early culmination of this process, and rapidly garnered an audience via heavy radio play, propelling the band into a year of consistent touring highlighted by prominent slots at Virgin Fest, SXSW and CMJ.